As prospective graduate students across the country research course offerings and consider possible universities to attend, U.S. News & World Report has released its annual list of the nation’s top graduate programs that names professional schools and academic divisions at the University of California San Diego among the best in the nation. The U.S. News & World Report guidebook annually ranks professional school programs in business, education, engineering, law and medicine. All of the rankings are based on statistical and reputational surveys. UC San Diego’s Jacobs School of Engineering is ranked no. 12 in the nation, up one spot, and its Department of Bioengineering ranks no. 2 in the nation for biomedical/bioengineering, also up a spot, compared to last year. A view of UC San Diego featuring the Jacobs School of Engineering campus. Engineers at the Jacobs School of Engineering continue to advance unconventional solutions, recently inventing a new process for recycling the cathodes from worn out lithium ion batteries. The breakthrough uses half the energy of existing solutions to reuse these kinds of batteries used in phones, computers and electric vehicles. Today, less than five percent of used lithium ion batteries are recycled—this discovery could increase the number significantly. 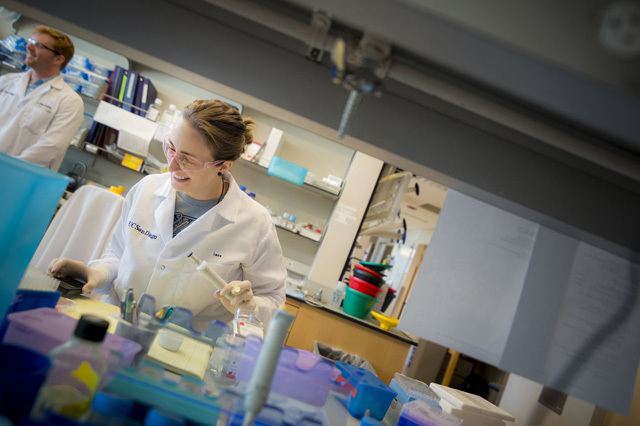 Also highly recognized in the new rankings, the UC San Diego School of Medicine—celebrating its 50th anniversary this year—was named the 22nd best in the nation among research-intensive programs, and 17th for primary care. In the past year, physician-scientists in the School of Medicine debuted a CRISPR gene editing technique as a potential therapy for neurological diseases such as ALS, muscular dystrophy and Huntington’s disease. The discovery, revolutionary on many fronts, targets the root cause of diseases for which there are no current therapies to delay progression. In addition, UC San Diego Rady School of Management’s part-time MBA was ranked 56th, jumping 19 spots in just a year in the best business schools category. The campus also topped the list among new academic reputation rankings for doctoral programs in the sciences, specifically earth sciences (15th); biological sciences (16th); computer science (16th); physics (17th); mathematics (19th); and chemistry (20th). 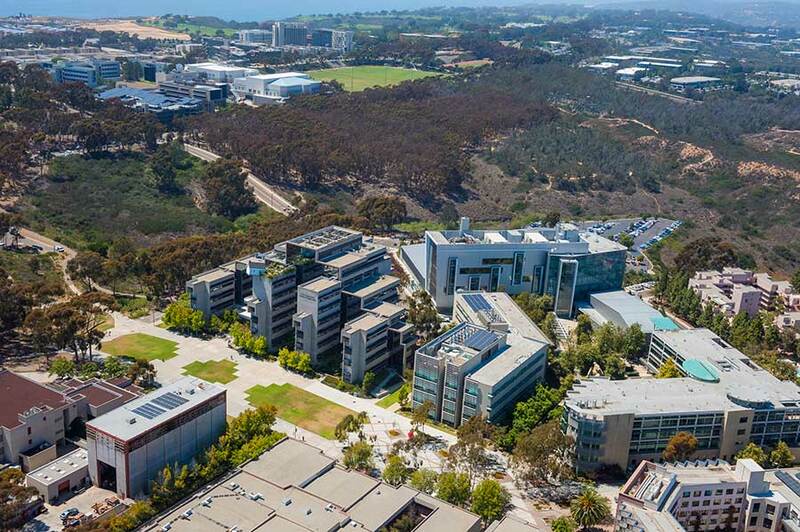 This month, UC San Diego formally launched the Halicioğlu Data Science Institute, a new resource for researchers in every field across the campus. The institute will train students in the latest data science techniques and transform the research of scholars who were limited in making progress in their disciplines because of the need to make sense of the massive amounts of data generated from their research. U.S. News & World Report rankings of doctoral programs in the social sciences and humanities; master’s degree programs in fine arts and library and information studies; and graduate programs in health-related fields are based on previously administered academic reputation surveys. UC San Diego demonstrated broad strengths in these categories as well, such as political science (9th); economics (12th); psychology (13th); and sociology (36th). In addition, programs in the humanities rated highly include fine arts (13th); English (24th); and history (41st). For more information on U.S. News & World Report’s top Ph.D. programs, click here. Visit UC San Diego’s Graduate Division website here.